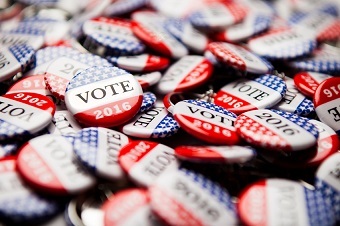 2016 election: Which candidate do mortgage pros prefer? Mortgage professionals overwhelmingly prefer the prospect of a Donald Trump presidency to that of a Clinton Administration, an MPA survey shows. MPA recently surveyed hundreds of mortgage pros about their preferences in the presidential election. Of those, nearly two thirds – 65.63% – said they were pulling for Trump to win the presidency. Only 21.88% said they were hoping for a Clinton win. 12.5% said they didn’t like either candidate. Trump supporters tended to focus on his business experience as a positive – and on Clinton’s baggage from a career in politics as a negative for her. A common theme among Trump supporters was Clinton’s supposed crimes (she has been investigated a number of times, but never charged with any criminal offenses). Clinton supporters, meanwhile, tended to focus more on Trump’s perceived shortcomings than on Clinton’s strengths. “Trump wants too much deregulation too soon,” one Clinton supporter wrote. “Trump would be a disaster for the country, and all businesses,” another wrote. Meanwhile, a small but significant portion said they didn’t support either candidate, finding both too repellant for the presidency. “Hillary is a pandering politician and Donald is basically intellectually unfit to run this country,” wrote one.